Between 2010 and 2016, more than USD 1.9 billion was committed to implement, monitor and enforce the conservation and sustainable management of tropical coral reefs and associated mangroves and seagrasses, yet coral reef ecosystems alone provide society with living resources and services equating approximately USD 375 billion per year. This analysis explores the intended purpose and spatial and temporal distribution of funding allocations. 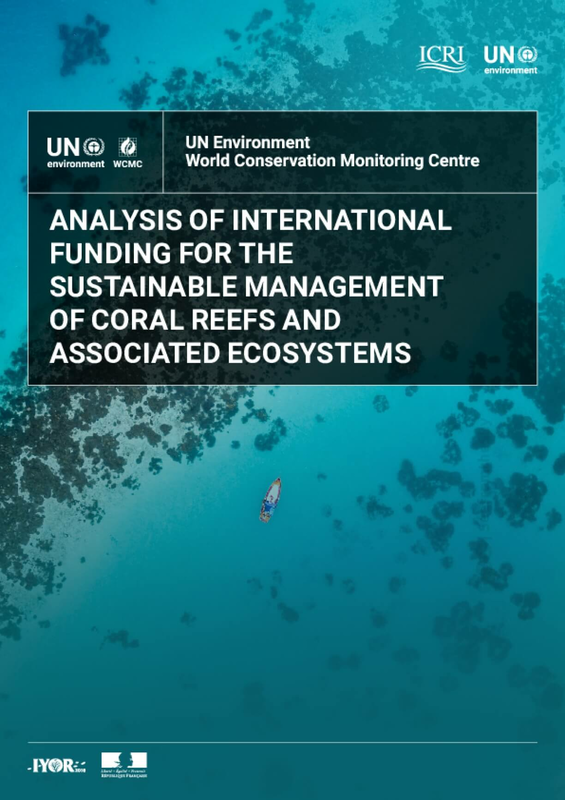 The alignment of funding with policy ambitions related to coral reefs and associated ecosystems is assessed, along with implications for future investment in the conservation of these ecosystems. Copyright 2018 by UN Environment and International Coral Reef Initiative. All rights reserved.